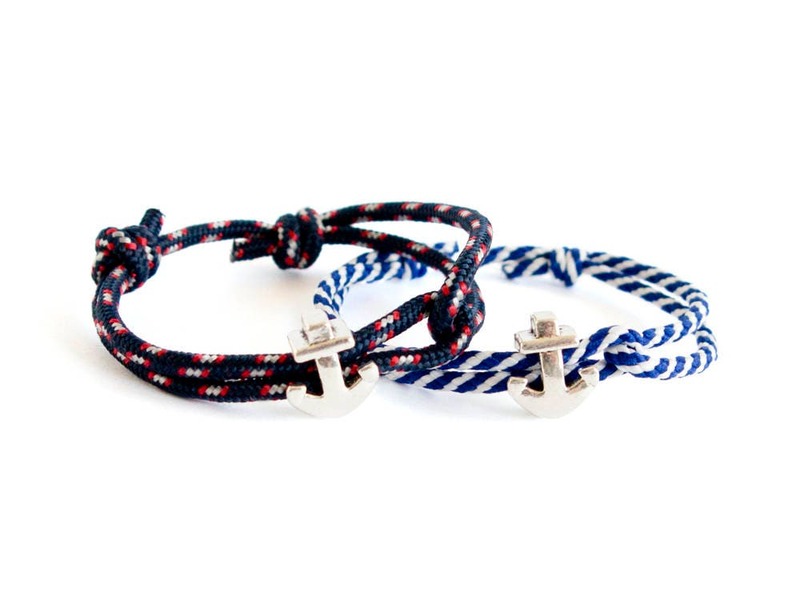 This anchor bracelet for men is our best outdoor gift suggestion. 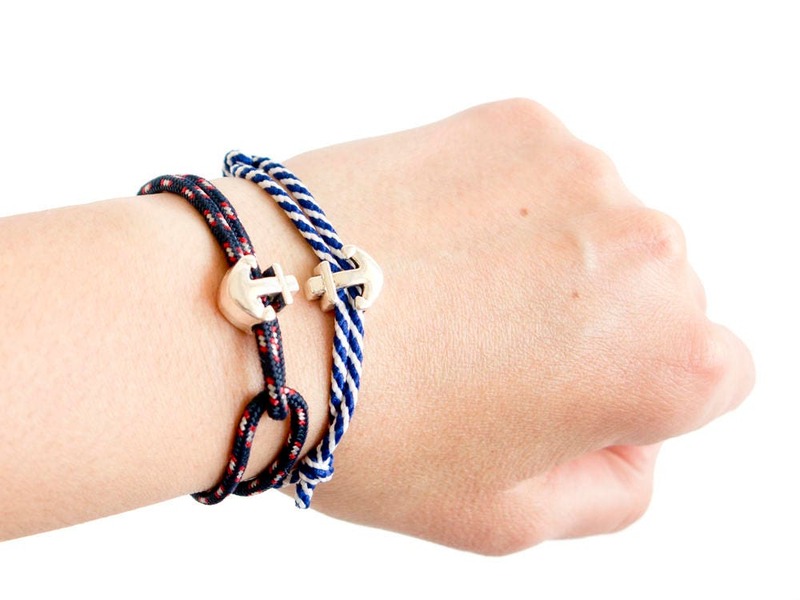 We design it as climbing rope bracelet and nautical bracelet. It is knotted of navy blue rope with adjustable climbers knots. You can modify its length, when you slide the knots. This nautical jewellery (it is suitable for man and women, even kids). 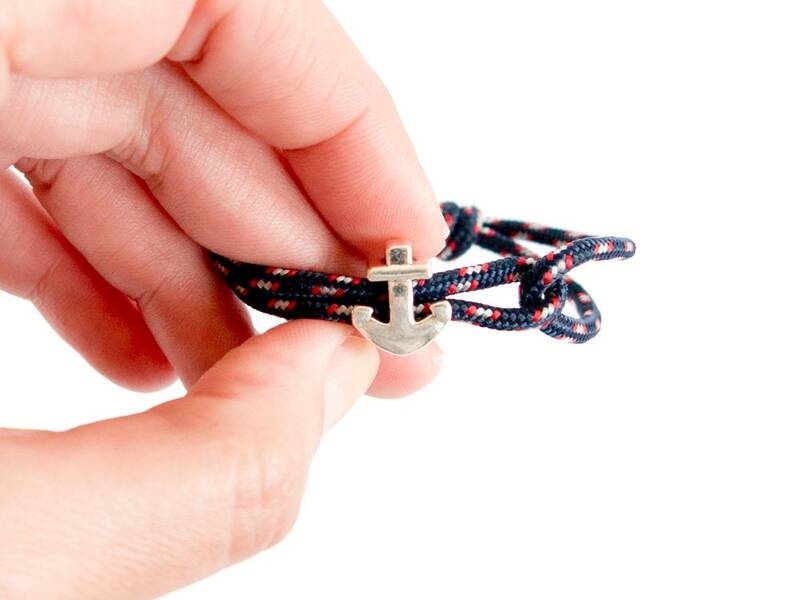 For the charm is used a cute mini metal anchor. * The diameter or the climbing rope paracord is 3 mm in diameter (1/8"). 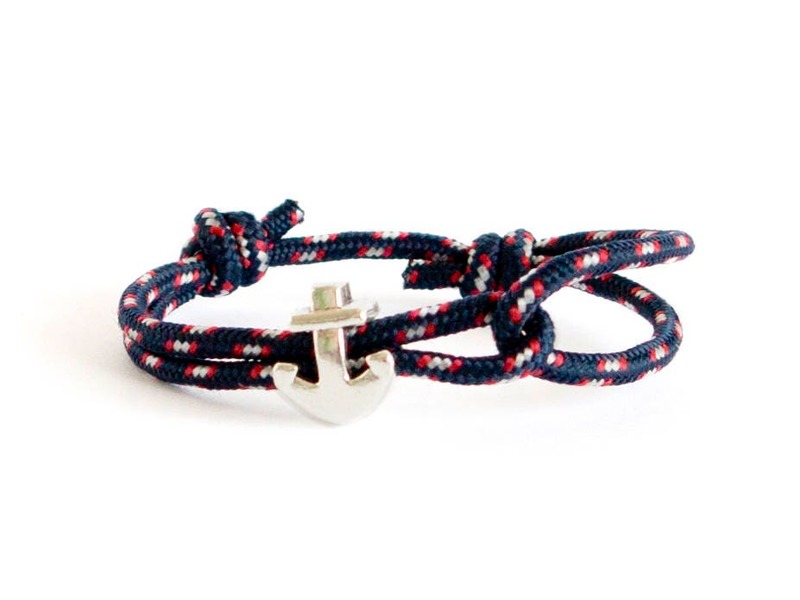 * The nautical bracelet anchor is 1.2 cm (1/2") long to 1.3 cm (1/2") in the widest part, 0.6 cm (1/4") thick. * The diameter can be adjusted from to 14 cm (5 1/2") to 24 cm (9 7/16"). 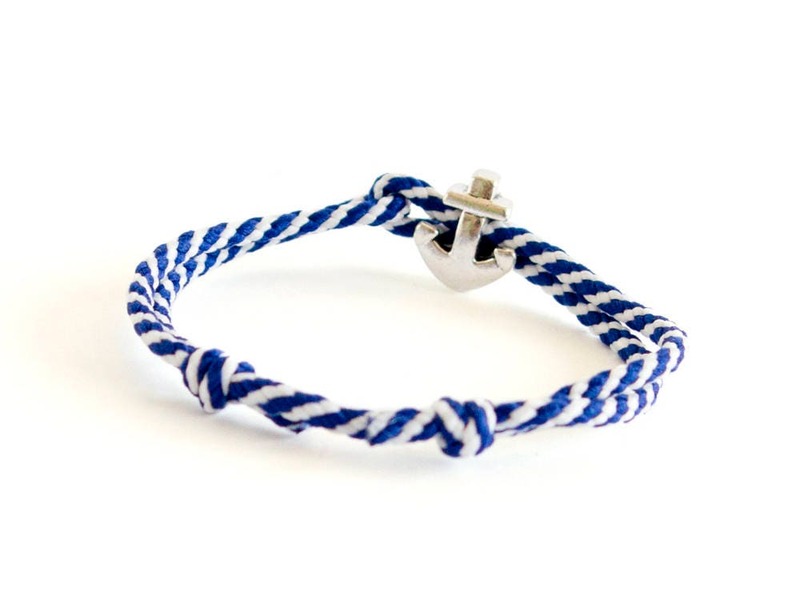 * with the navy rope - twisted blue and white. Just make your choice when you order. 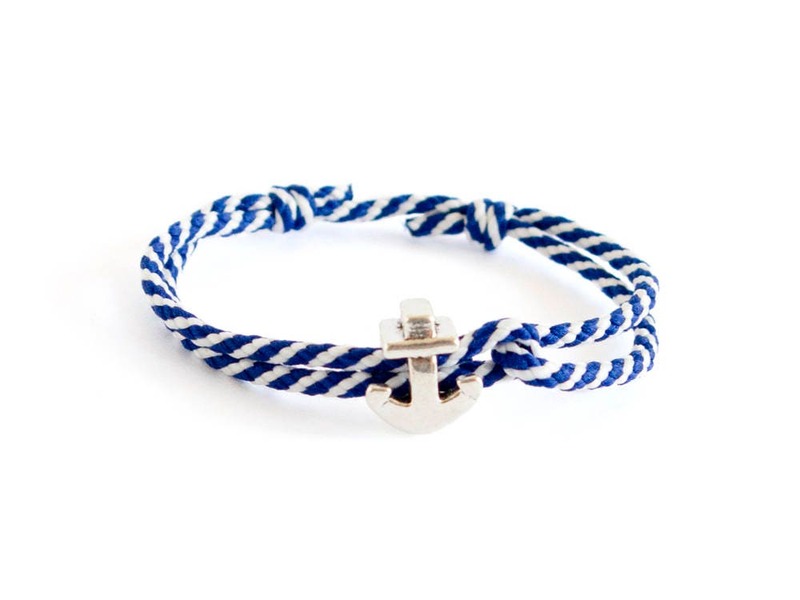 You can purchase this nautical jewelry bracelet gift wrapped.